DMA has a 20-year history of working for international news organisations, major brands, publishers, marketing agencies and NGOs. From television start-ups and corporate video production to multichannel digital content and social media strategy, our expertise has grown out of working to the punishing demands of live news production. It’s why we’re the best at what we do and why we’re constantly in demand to pass our skills on to news teams, broadcasters and corporates through our consultancy and training services. 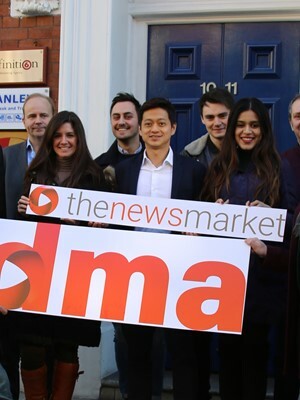 DMA’s management and production team members have unrivalled experience in broadcast and digital media, working for major broadcasters such as the BBC, Bloomberg, Channel 4, CNBC, CNN and Sky News. Click here to learn more.